Digitization has become a permanent fixture of modern life, expanding into almost all facets of industries and organizations. Now, governments find themselves needing to follow suit. Citizens expect their governments to adopt and implement technologies consistent with those they have become accustomed to when dealing with their bank or while grocery shopping online. Digitization provides governments with some undeniable opportunities. By digitizing their framework, governments can become considerably more responsive and efficient when providing service to citizens. Citizens too can be empowered by digital services that broaden their engagement with different branches of government. However, it is impossible to ignore the often-dangerous realities brought upon by an ever-increasing digitized world. Millions of potential cyber security threats per second render digitized IT systems vulnerable to serious attacks. Data breach and online payment fraud have become almost commonplace phenomena. And when it comes to governments, one successful infiltration into a small, relatively insignificant system could lead to complete shut down and send the entire government into a tailspin. A leak of financial information may arguably be the worst-case scenario, but it is far from the only threat digitization poses to governments. Often privy to much of their citizen’s private information, governments are tasked with ensuring it remain absolutely safe. Whom citizens choose to associate with; their biometric data; their sexual preferences and religious affiliation are all data that cannot be compromised. Governments have no room for error in this matter, if they are to secure their citizens’ trust. So, what can be done? What measures can governments take to combat this challenging reality? First and foremost, governments must embrace operational changes. The use of protective measures to cope with rapidly evolving technology usually involves no small amount of operational and organizational restructuring, coupled with the need to adjust to international privacy standard reforms. If governments strive to collaborate with private sectors by sharing knowledge, they can establish more efficient strategy and methods to successfully tackle the issue. Above all else, governments must improve cyber protection. Determining the importance of each digital asset and setting specific targets for protecting them is paramount. Embracing cyber awareness across all levels of governments, similar to employee advocacy promoted in the private sector, has also proven successful in yielding significant results. Additionally, leading cyber and privacy regulations, may encourage cooperation between institutes, determine responsibilities for protecting sensitive data, and create clear and accessible instructions for everyone to follow. Citizens’ level of trust in those with access to their private information needs to be absolute. They need to believe that governments adopting digitization, do so in a way that does not compromise them, their finances, or any of their rights to privacy, in any way. It is the governments’ job to prove that to them. January 2018 – A Japan-based cryptocurrency exchange lost $530 million worth of cryptocurrency NEM in a hack – possibly the largest cryptocurrency heist of all time. April-May 2017 – A global “ransomware” cyberattack hit computers at 600 locations in Japan. Cybersecurity researchers subsequently uncovered a growing cyber-espionage campaign originating in China, targeting construction, engineering, aerospace and telecom companies not only in Japan, but also in the U.S. and Europe. September 2016 – Japanese Defense Ministry and Self-Defense Forces (SDF) communications networks linking SDF bases and camps were compromised. May 2016 – An ATM heist involving around 1,400 machines in convenience stores resulted in the loss of 1.4 billion yen ($12.7 million). June 2015 – Japan Pension Service (JPS) was hacked, resulting in the exfiltration of personal data belonging to 1.25 million people. April 2012 – A hack of Japan’s Ministry of Agriculture, Forestry, and Fisheries resulted in more than 3,000 documents being exfiltrated to a foreign destination, including 20 classified documents on negotiations on the Trans-Pacific Partnership (a broad free-trade agreement). According to press reports, the hackers searched Ministry computers for TPP documents, transferred all that were found a single computer, and then compressed them to make them easier to send. 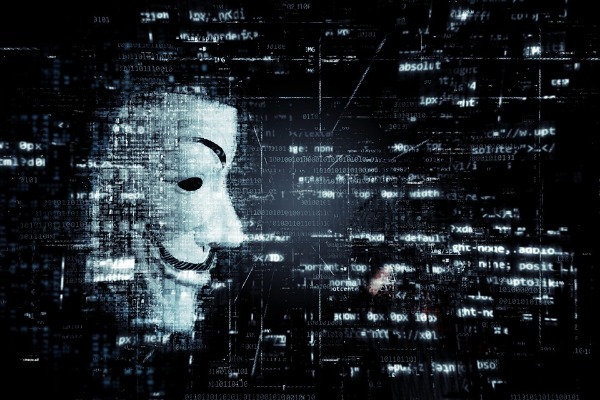 Cyber threats to Japan are becoming even more challenging as the country heads towards the 2020 Tokyo Olympics, a platform that hostile cyber actors are likely to use to gain publicity, strategic advantage, and criminal profit. Japanese officials have already said that they are expecting to be targeted by a range of cyber threats, from phishing websites that sell fake entry tickets, to ransomware and cyber espionage, and even more extreme scenarios, like attacks against securing critical infrastructure. The Olympic Games could provide an opportunity for actors, perhaps sponsored by other states, to target visiting politicians, journalists, and other individuals who may be sources of intelligence. The massive gathering in Tokyo presents cybercriminals with a huge audience and “easy prey”, whereby hacking compromised hotel and public WiFi networks and using malware will enable them to obtain sensitive information like credit card details etc. 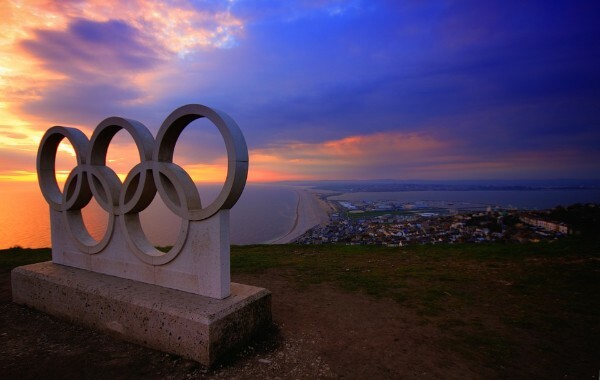 This is not mere speculation – it has happened in previous Olympic Games: major cyber attacks hit the London Olympics in 2012, including DDoS attacks on power systems that lasted for 40 minutes, and at the Rio Olympics in 2016. The Japanese concern is therefore justified. The new General Data Protection Regulation (AKA GDPR) is not another directive; in May 2018 it is set to become an enforceable law that will change the world of data protection as we know it. On April 2016, the EU parliament approved the new regulation, replacing the current directive, according to which businesses have been operating for the past 20 years. Organisations that work with or process EU residents` data were given a two-year transition period to plan for and implement the necessary changes to their daily processes and policies. This two years period is about to end. “Data controller” – a person who (either alone or jointly or in common with other persons) determines the purposes for which and the manner in which any personal data are, or are to be processed. “Data processor” – any person (other than an employee of the data controller) who processes the data on behalf of the data controller. 1. Business location – The regulation has extra-territorial applicability, meaning that whether your company is controlling the data or just processing it, if that personal data is of subjects residing in the European Union, this regulation applies to you. 2. Heavy Penalties – Don’t say you didn’t know! Organisations found not compliant with the new regulation will be heavily fined with up to 4% of annual global turnover or €20 Million (the greater of the two). 3. Request for consent – Want to use personal data for business purposes? You will now need to obtain explicit consent from the user prior to using the information. This will be done by presenting the user with an easily understood terms and conditions form, which will also contain the purpose for which the data is processed. 4. Breach Notification – Have been breached? If that breach puts the personal data you are controlling or processing at risk, you may be obligated to report it within 72 hours. Exposure of this kind of information could not only cause financial damage, but also leave a significant stain on the company’s reputation. 5. Transparency – Data subjects will be able to obtain, from the data controller, a confirmation as to whether information concerning them is being processed by the controller, in what form and for what purposes. The data controller shall provide the subject with a copy of the personal data being held free of charge. 6. Right to be forgotten – In the case that the data subject withdrew its consent or that the processing of the data is no longer relevant to the original purpose, data subjects will have the right to ask the data controller to completely erase their information, stop processing and disseminating it. 7. Data Portability – Data subjects will have the right to receive the personal data form previously provided to a data controller, in order to transmit it to another controller. 8. Privacy by design – This will no longer be considered an addition to a product, rather a legal requirement that must be included from the beginning of the product design. 9. Data Protection Officers (DPOs) – Certain organisations will be obligated to appoint a Data Protection Officer, who will be responsible for overseeing the organisation`s data protection strategy and implementation, and to ensure compliance with the new regulation. It is important to note that the regulation does not specify a framework for adherence, but puts the responsibility on organizations to maintain best practices for data security. That means each organization has its unique needs and adaptation when it comes to the GDPR. UK Businesses might ask themselves whether they should prepare for the new regulation. As they are due to leave the European Union following Brexit, will it apply to them? 1. The UK is scheduled to leave the EU on March 2019, meaning it will still be part of the EU when the regulation is due to come into force (May 2018). 2. Since the regulation applies to any organisation that works with or processes EU residents’ data, most UK businesses will still have to comply with the regulation, regardless of Brexit. 3. This August, the British government published its statement regarding the country`s data protection bill. Much of the bill aims to implement the GDPR, meaning that either way, UK businesses will need to be compliant. So, there you have it. If you’re in the world of data protection and working with the data of any EU individuals, you better start thinking fast. You have until May 2018 to plan and implement a system that’s compliant. It’s no longer an option, it’s now the law. You know you need to make changes to your data protection processes. You've read, learnt and accepted your fate. You've even negotiated a budget and resources. So, what now? And how will you get it all done for May 2018 when the regulation becomes law? When it comes to data, privacy and cyber security, your employees are the first line of defence. Make sure all of your employees are well aware of the new regulation and its key principles, as well as the threats the company is facing. This includes tailored training for all employees, from security and management teams through your administrative department. One great solution would be to implement an Anti-Email Phishing program that uses an interactive approach and simulating real-world email phishing attacks to help prepare employees for the real thing. Are there any 3rd parties with access to this information? This task can be incredibly tedious and often error prone. There are many tools on the market to help you out with this task. Remember – As of May 2018, knowing what data you have will not only be a convenience, but rather your legal obligation. 2. External information – customers’ information that is being controlled and processed. For the purpose of GDPR, you need to have a complete view of the ‘data journey’ – where it is stored, how it is processed, through which 3rd party companies has it passed, etc. This is an assessment of your organisation’s current security level as well as its level of compliance with the regulation. This will help you identify and prioritise the key areas your organisation must address ahead of May 2018.
according to the results of the gap analysis, initiate a remediation plan with clear, prioritised tasks. This may include the implementation of various cyber security products, training programmes, subscription to threat intelligence feeds, conducting a risk assessment to your data processors, establishing an incident response plan and much more. We recognize that preparing your organization to comply with the GDPR is no small feat. The above five items are a solid start, but you should also consider using the services of a single service provider to manage the entire operation from start to finish – from data mapping to the implementation of the remediation plan. 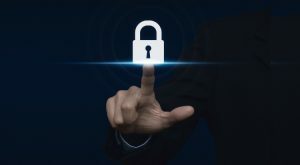 In the case that you do choose to work with a service provider, be sure they have a deep familiarity with the regulation, turn-key capabilities and connections to the latest cutting-edge cyber technologies. Cybersecurity is not only about buying expensive IT security products. As a global company, we meet daily with companies of all sizes - from small businesses to big enterprises. Surprisingly enough, while all companies have security products embedded in their systems, none seems to implement the very basic protocols that would keep them safe from cyberattacks. In many organizations, cybersecurity is still believed to be an IT issue only. This perception is simply wrong. When cyber incidents occur, they affect a wide range of departments within organizations and require their immediate responses. The departments listed below should have clear processes in place to respond to any potential cyberthreat. Their involvement before (prevention), during (response), and after (conclusions) a cyber incident is crucial to strengthen cybersecurity. The Legal Department – when it comes to cybersecurity, it is always good to have an attorney by your side. The legal department role includes drafting internal policies, procedures, and contractual provisions regarding discovery, investigation, remediation and reporting of breaches. The goal here is to minimize any legal damage that could result from potential data breaches. It also includes investigating incidents to determine the scope of a breach, and analyzing requirements under applicable laws and regulations. Cyber incidents may expose companies to lawsuits from customers whose personal details are compromised. At the executive level, directors are also liable for breach of fiduciary duty and duty of care, which are both binding obligations. Human Resources (HR) – what is the connection between HR and cybersecurity you might ask? Works with the most sensitive personnel data. While this information is a goldmine for attackers, it is often left unprotected and vulnerable to attacks. Ensures that new employees have not brought any sensitive data or information with them from their previous places of employment – or conversely, ensures that former employees no longer have access to their online accounts as soon as they leave their positions. Plays a vital role in communicating risks and lessons learnt from previous cyber incidents. Helps the IT department develop and disseminate security procedure guidelines across the organization. Communications/Media – The way a company responds to a cyber incident, along with its communications with those affected by the incident, can greatly affect its success in retaining customers. According to a recent survey(2) 29% of existing customers would discontinue relationships with the company after a data breach. The General Data Protection Regulation (GDPR), which will become applicable in the European Union in May 2018, reinforces the need for transparency and efficient communications. In a GDPR-post world, companies will be legally obligated to disclose sensitive information regarding cyber incidents on their systems, within 72 hours. Therefore, IT and communications teams should have processes in place to ensure the quick response required by the GDPR. C-level – It is a well-known fact that C-suite executives are responsible for mitigating business risks, while IT delivers the technological support that drives the business. In today’s hyper connected world, it is almost impossible to separate business from technology. The threat of cyberattacks is now just part of the day-to-day reality of doing business, therefore it is critical to include the C-suite in incident response and table-top exercises, so they fully understand their roles, as well as the potential cost of an attack. Having firsthand experience of an attack, even a simulated one, means the C-suite will gain awareness, which is vital to driving a top-down security-focused culture. Awareness – The focus will be on uninformed users who can do harm to your network by visiting websites infected with malware, responding to phishing e-mails, postponing software update and data back-up, storing their log-in information in unsecured locations, or even giving away sensitive information over the phone when exposed to social engineering. Employees must be aware of those various risks, and trained to respond accordingly. Readiness/Cybersecurity Drills – A fire drill is a practice of the emergency procedures to be used in case of fire. 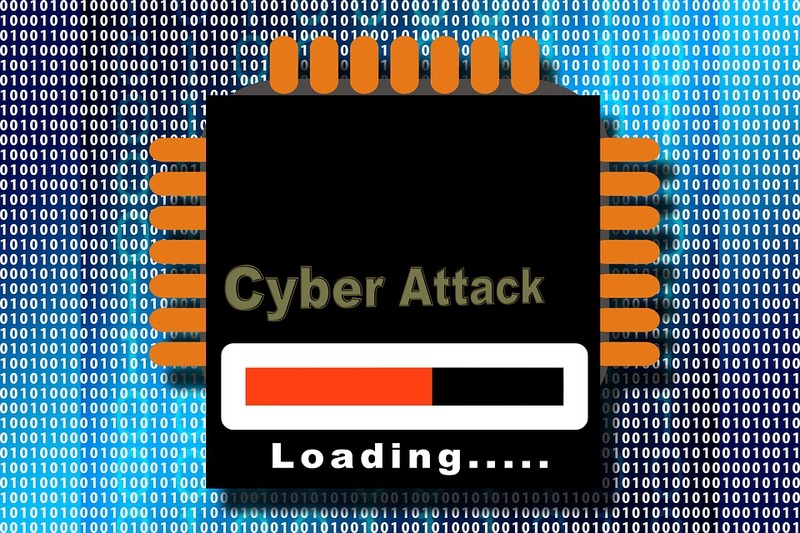 Why not practice the emergency procedures to be used in the case of a cyberattack? Make sure to practice cybersecurity drills with different scenarios and in a timely manner to identify problems, and have processes in place to respond efficiently in the future. Training – your employees should be trained to understand the concept of “cyber risk exposure”, and become familiar with the many ways attackers can exploit information they gather. This includes a wide range of risks, from reconnaissance efforts to targeted attacks. Training should not be theoretical, but rather use real life examples. When it comes to the incident response plan, the first step is to define what an incident is. By doing so, the process of deciding whether to act upon a threat or not will be much easier and will improve your IT team effectiveness. a technical writer to make sure everything is documented. Learn your lessons – Based on the above-mentioned documentation, decisions should be made, processes should be defined to effectively respond to cyber incidents. Involve different departments – A successful, well-drilled, IR plan requires excellent internal cooperation across the organization. 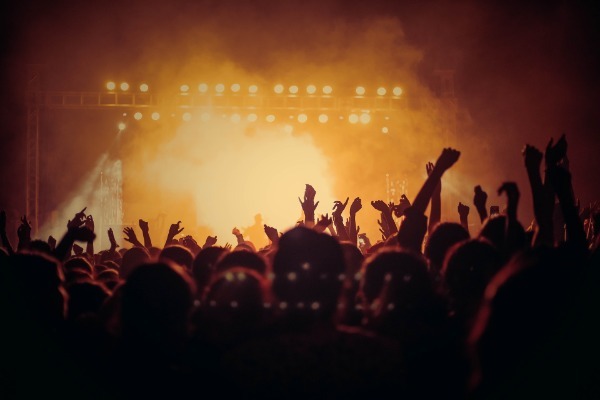 Measure your success in handling the event by defining key performance indicators (both qualitative and quantitative) – For example: how much time should it take to identify the threat? What is the timeframe to report to affected customers? Do not wait for the next cyber incident to pull out your IR document. Perform periodic cybersecurity drills to test your IR team, your processes and procedures, and update them accordingly. Cybersecurity requires first and foremost a change in your company culture. The aftermath of cyberattacks are always more expensive than preventing them.